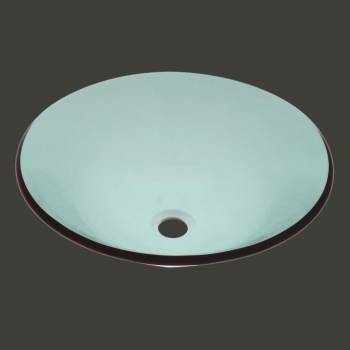 The “Sweet Pea” shallow vessel sink from Renovator's Supply features an eye-catching modern bowl design and durable tempered glass construction. This listing comes with a chrome pop-up drain. Vessel sinks save space without sacrificing the luxury of a spacious sink. This one is constructed from gorgeous tempered glass for durability and easy cleanup. It’s stain resistant and includes drain, pop-up ring and silicone mounting gasket.